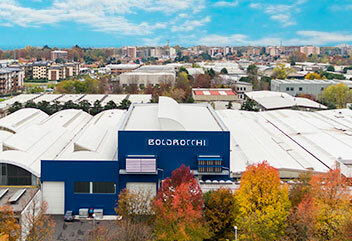 Since its inception in 1909, Boldrocchi has continued to seek better solutions for its customers. Boldrocchi hires the brightest engineers, as well as technical and manufacturing teams, in order to offer a wide range of excellently crafted products and systems to industries and power generators around the world. We have one of the most technically knowledgeable teams in the business, offering you expert advice and wise engineering solutions. We are among the few in the world to manufacture and test in-house in Europe with highly skilled people, ensuring top quality workmanship. Our team excels at working with your process parameters & targets to find fitting solutions for complex issues. Every solution is tailor-made to the exact parameters of your operation’s needs, optimizing your production. We invest heavily in R&D, always looking to improve our products, develop new ones and offer customers the best solutions on the market. We are committed to customer satisfaction, past commissioning and through to service. If something isn’t 100%, we’ll make it right.